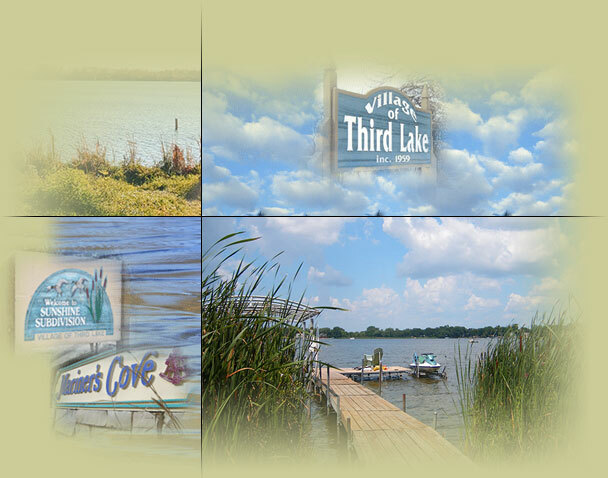 We would like to welcome you to the Village of Third Lake web site. Third Lake is a quiet residential community with commercial businesses along the Route 45 corridor. Sunshine Subdivision was platted in the late 1920’s. The Village was incorporated in 1959. Mariner’s Cove Subdivision was developed in the 1980’s. Third Lake has two lakes, Druce Lake and Third Lake. Both lakes are used for fishing, boating, swimming and skating. There are a number of public golf courses nearby. Centrally located in Lake County, residents have easy access to Great America Amusement Park, Gurnee Mills Shopping Center and all Lake County Forest Preserve locations. Our next meeting of the Board of Trustees will be Monday, April 15, 2019 at 7:00 pm at Third Lake Village Hall. Join us!